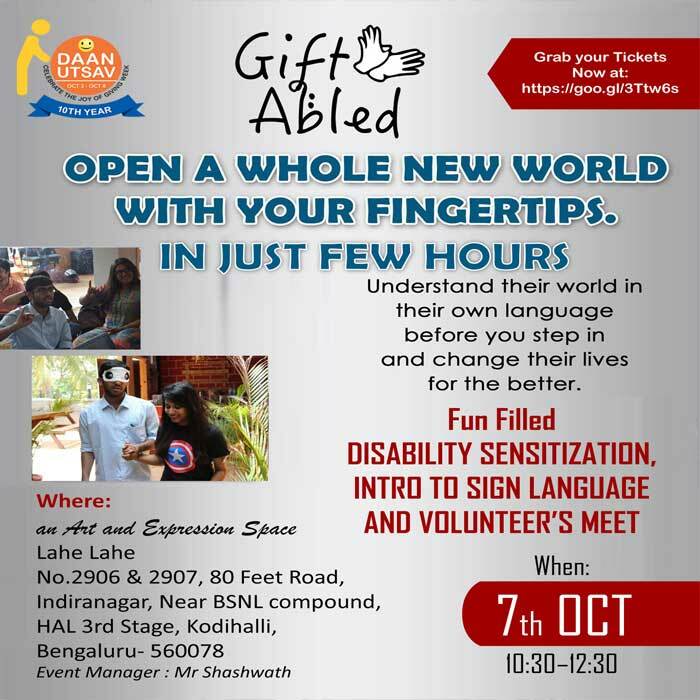 GiftAbled offers a unique, fun-filled workshop imparting knowledge towards disability sensitization. This workshop help participants understand and interact with People with Disability. It helps one become more aware. Imagine the life experience of a child with no vision. How their everyday life would been? Children with vision can connect their imagination with what they have already seen. What about a child with no vision? Visually impaired children and adults remain disconnected with the outside world as braille books aren’t as dynamic and diverse as normal books. While Technology has made it possible for adults to use many electronic gadgets, but still several functions remains out of touch for them. Tactile books makes it easier for them to learn the visual way of representing these things. We hope that in future, it would be possible for them to learn symbols, and probably decipher a tactile map of India. We need to make sure that during the initial stage, tactile illustrations need to be very simple and easy to recognize.